20 years of 360-degree professional experience in Canada & India managing investments and projects worth US$ 1.5 Billion versatile portfolio of construction projects viz. Multifamily High Rise Residential, Villas, Townships, Commercial, Institutional, Retail, Industrial, Hospital and Mixed Use Real Estate projects from concept to strategic exit has provided Tushar with an opportunity to learn and confidence to manage Real Estate Investment and Development Portfolio from strategic and holistic perspective. Tushar has managed entire Real Estate Investment and Development Cycle including Market Research & Competition Analysis, Due Diligence, Generated New Deals, Investment, Acquisition & Development, Master Planning, Best Use Study, Feasibility Study, Construction Project Management, Planning, Scheduling, Estimation & Costing, Cash Flow Management, Vendor Management, Procurement of material and equipment, Hiring Resources (Consultants, Employees, Contractors & Vendors), Asset Management, Property (Facility) Management of 2 Million + Sq.Ft. of to Strategic Sale. 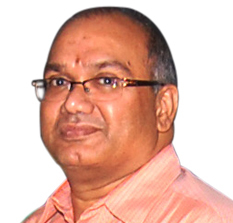 A serial entrepreneur, Madhu Avalur began his entrepreneurial journey at the age of 22. Starting in 1995, fresh out of college, he has over 21 years of entrepreneurial experience with a stellar track record of assembling core global teams, leading people and implementing and overseeing technology programs. He has been consistently successful in analyzing market trends and capitalizing on global market opportunities to create successful brands and companies. Culturally sensitive and internationally travelled leader, Madhu is an alumnus of Asian Institute of Technology, Thailand. He acts as in one of the multiple roles - investor, advisor, mentor, board member - to some of the exciting companies from across the globe. An avid reader, he sees himself as a student of life. He is distinguished by his expertise in Finance and Strategy. He has long experience in investment banking, real estate, private equity and structured finance and provides consulting to many reputed companies. As a professor he teaches Finance and RealEstate Economics in the ISB (Indian School of Business), Mohali. He is on the research review panel of world class journals in finance. 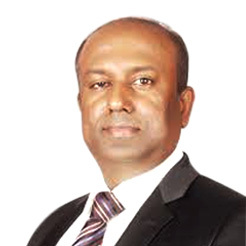 He started his career as a civil engineer and has supervised BOT/PPP contracts, feasibilities studies & project appraisal for large projects in the infrastructure sector. 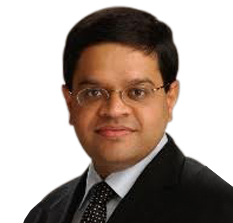 Manish Jain, is a financial services industry veteran and has worked in various technology, investment and operations positions with well-known financial institutions like SPARX Group, Fidelity Investments and Citibank. He has spent 15 years of his working life in Japan. 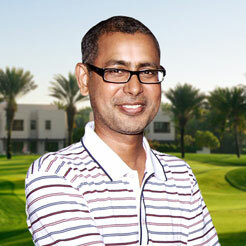 He is a graduate of the prestigious Indian Institute of Technology, Madras (now Chennai). He is a CFA® charter holder. 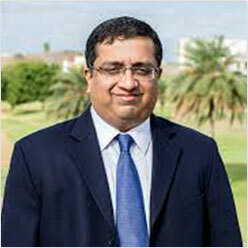 Result oriented professional with over 21+ years of experience in Accounts, Finance, Taxation and Auditing. Expertise in analyzing and improving systems and procedures, designing internal control systems and facilitate effective decision-making. Ability to develop a detailed Business Plan to meet the objective of maximizing revenues and achieving profitability. Hands on experience in the areas of Strategic Planning, Budgeting, Taxation and MIS Development.